No cameras allowed on the tour. Too bad. 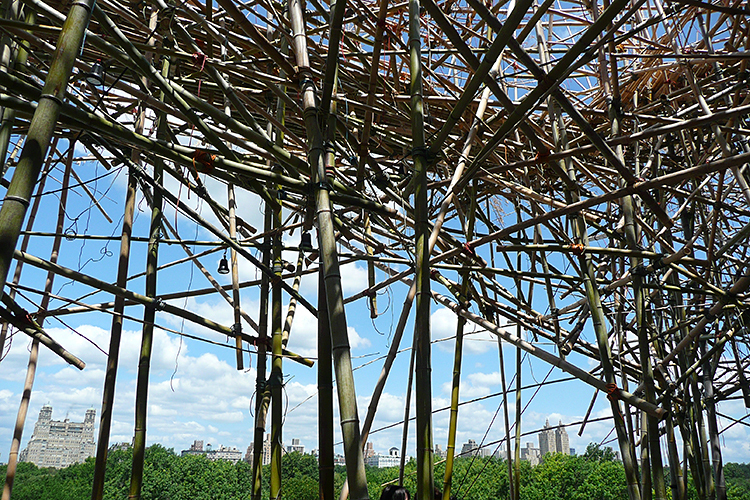 Looking down from the 30-foot (currently) highest point of Big Bambu at the Metropolitan Museum of Art is a joy. The day was ideal. 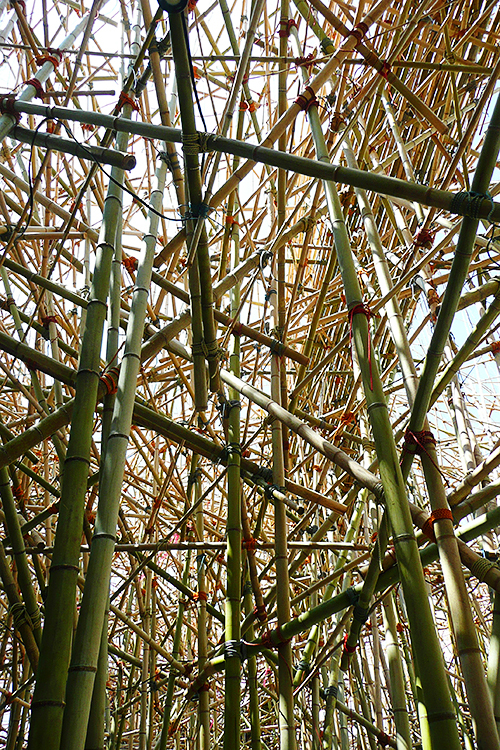 Just enough breeze to rustle the leaves still attached to the bamboo stalks, low humidity, white clouds in a blue sky. 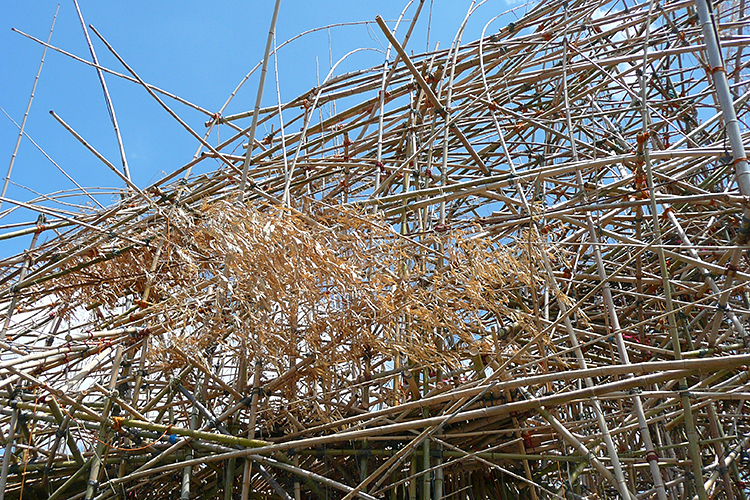 The above panorama is how the view looks from the base of the installation, created by artists Mike and Doug Starn. The walkways are more solid than I expected. 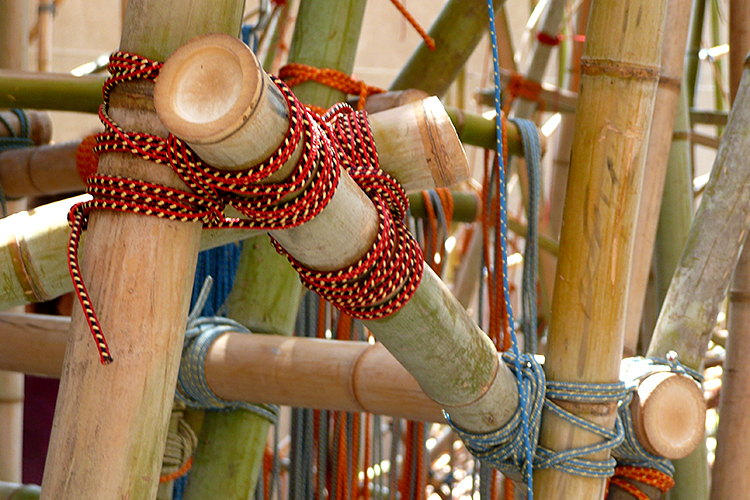 The cord-covered wire lashing the bamboo together is more colorful. 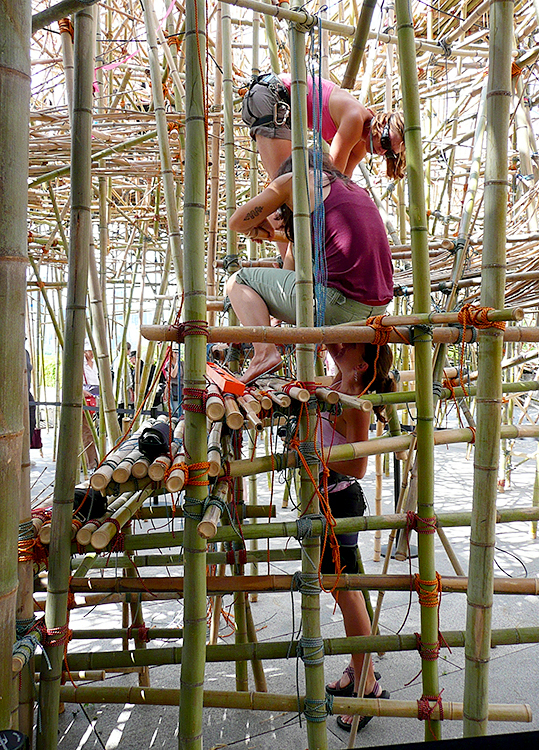 I particularly enjoyed watching some of the rock climbers who are the people actually building Big Bambu. 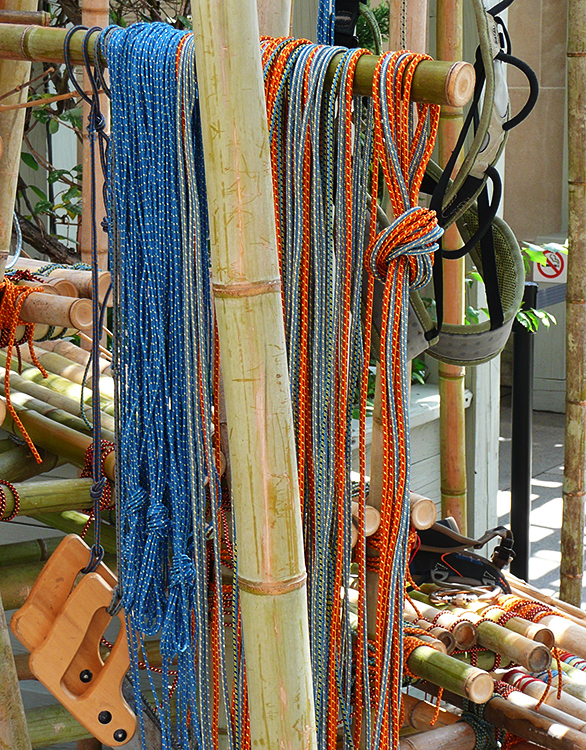 Note the caribiner on the top climber’s belt. 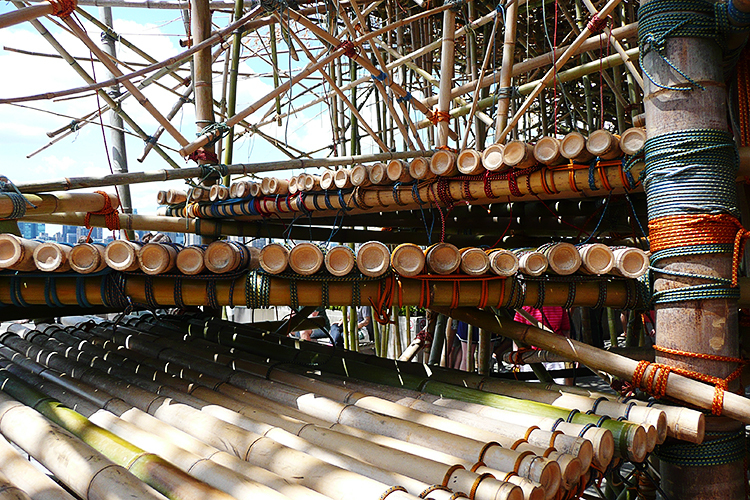 Now you need to go experience it for yourself!